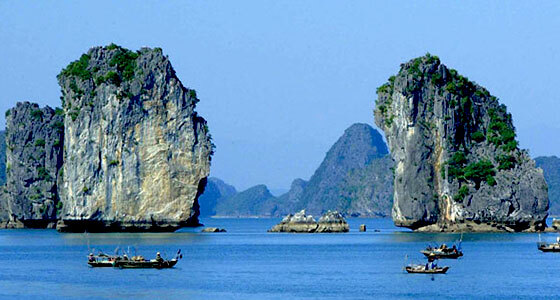 Bai Tu Long Bay occupies three quarters of Ha Long Bay World Heritage site. Travelling to Bai Tu Long Bay is off the beaten track and promise to deliver many unique experiences, being far away from touristy sites. In this big area, visitors can find a pristine beautiful natural landscape. Until now, Bai Tu Long still remains a wide unexplored area. 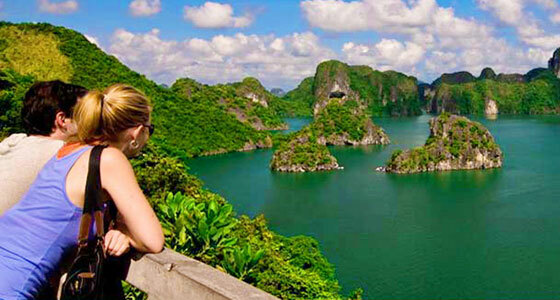 Being as beautiful as neighbor Halong Bay, Bai Tu Long has many attractions to visit: Vung Vieng fishing village, Trong cave… In addition, Bai Tu Long bay national park is rich in biological diversity, home of many different flora and fauna. 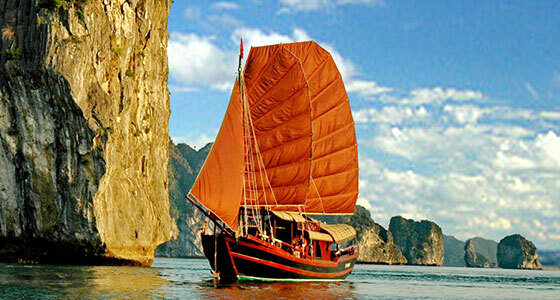 Our tour guide will pick you up from suggested places around Old Quarter to Ha Long Bay at 7:45am. After 3 and a half hours transferring, we will embark at Hon Gai pier, Ha Long City. Laster, we transfer to traditional junk, have lunch while cruising to magnificent Bai Tu Long Bay, admire the fascinating formations on the way. At afternoon, we will anchor at Vung Vieng fishing village, tender will take you to visit one of the largest and oldest fishing village on Ha Long Bay, exploring the lives of local fishing villagers and then visiting the farm of pearls processing. Then, you can enjoy relaxing on a white sandy beach, swimming or kayaking around the picturesque limestone outcrops. While the cruise’s moving to the area of Ban Chan beach for overnight, dinner with BBQ, cooking class and experience the purple sunset sight on the sea. Ha Long Bay, in the Gulf of Tonkin, includes some 1,600 islands and islets, forming a spectacular seascape of limestone pillars. Because of their precipitous nature, most of the islands are uninhabited and unaffected by a human presence. The site's outstanding scenic beauty is complemented by its great biological interest. Visiting Thien Canh Son cave with millions of surprising stalactites and stalagmites you can understand why almost travelers must visit there when they come to our country. - For safety reasons, these below visitors are not recommended to cruise overnight in Bai Tu Long Bay.